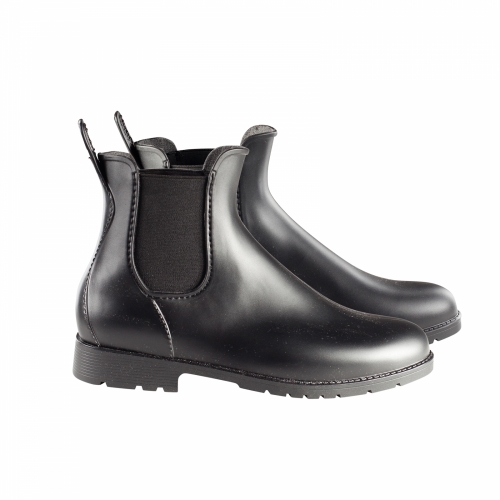 Rubber paddock boot with sturdy sole. Gives good grip and has suitable heel for riding. Elastic panel on sides.